Tine and Jan Hardeman celebrated not only their 60 years with One Challenge but also 60 years serving at Faith Academy in Manila, Philippines. What a testimony to the Lord’s faithfulness and one family’s obedience! 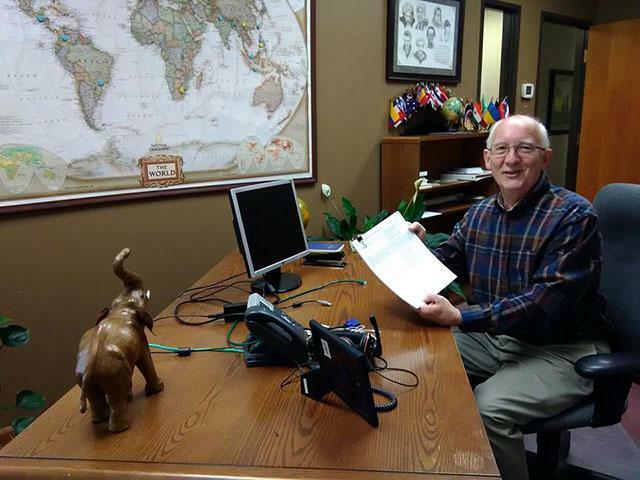 One Challenge's International Ministry Team is a non-co-located team that does a variety of ministries throughout the world, ranging from sharing the Good News, to marriage seminars, sports ministry, and leadership development. 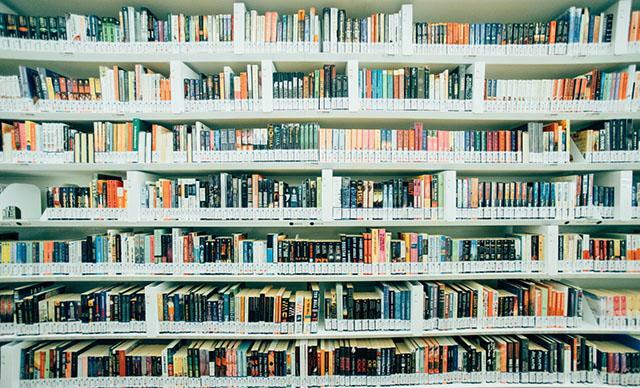 The first question to ask yourself regarding agencies is “Should I join an agency?” We covered this topic in an article on our corporate site and you can read it here . Preaching the gospel evangelistically in today’s world may be an unpopular or an intimidating task. Still, it’s the calling of believers to share the Good News in multiple contexts. 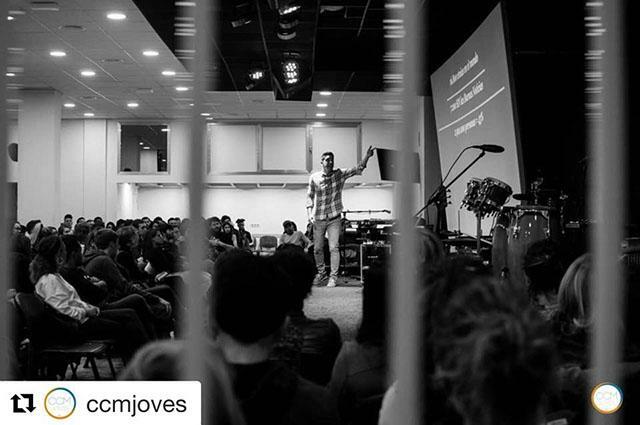 “We need to regain confidence in evangelistic preaching from the Scriptures, given by the Spirit, as a way that God uses to touch, to save, to change, to transform,” says Hélder , an OC Global Alliance mission worker and founding pastor of the Capítulo 29 church in Granada, Spain. 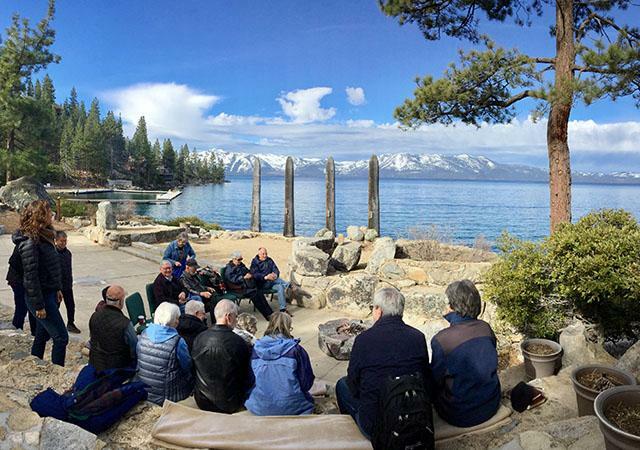 One Challenge’s International Ministry Team (IMT) has set a model for OC in how non-co-located teams can function effectively but also healthily. 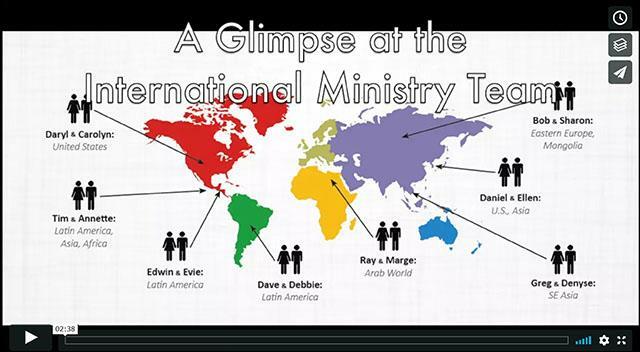 The IMT is a global ministry team made up of eight couples, all with decades of ministry experience. 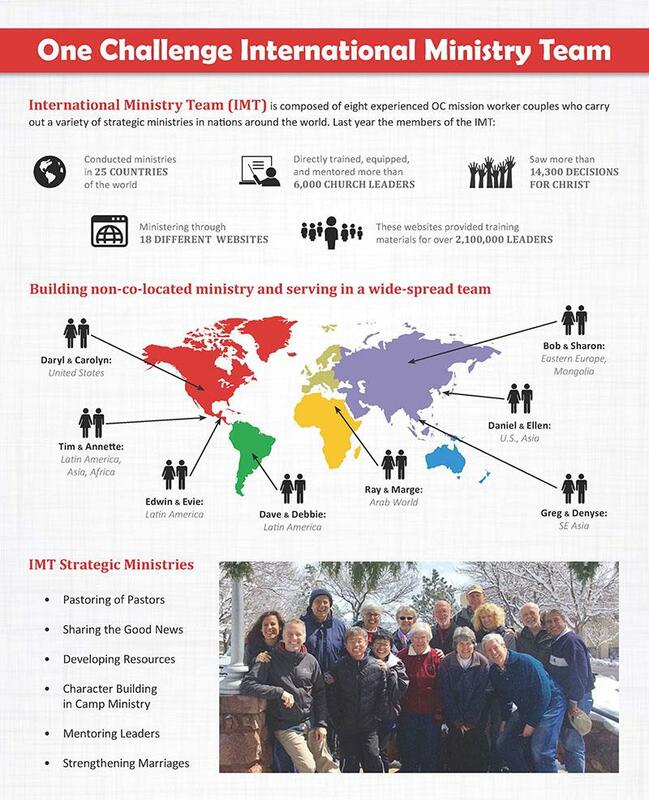 This month’s prayer focus is on the OC International Ministry Team (IMT). This team is composed of eight experienced OC mission worker couples who carry out a variety of strategic ministries in nations around the world. Last year, OC reported that it is participating in over 500 partnerships around the world! The staff members at the US-MC are just as interested in collaboration in Colorado Springs.